Supported by an educational grant from Helsinn Therapeutics (US), Inc.
Chemotherapy-induced nausea and vomiting (CINV) is a serious problem that can negatively impact a cancer patient’s quality of life and affect timely delivery of the most effective doses of chemotherapy treatment. The risk for CINV in any given patient depends on patient-related factors, and most importantly, the innate emetogenicity of the chemotherapy agents themselves. If no preventive treatment is given, agents classified as highly emetogenic will likely cause CINV in more than 90% of patients, and moderately-emetogenic regimens cause CINV in 30% to 90% of patients. Prevention of emesis is key, and evidence-based guidelines direct healthcare practitioners on proper use of the most effective regimens recommended for each level of chemotherapy emetogenicity. These medications must cover both the acute and delayed period of time after chemotherapy is given. If breakthrough nausea or emesis occurs despite optimal prophylaxis, then appropriate rescue antiemetics must be given from a class of drugs that is different from those that were originally administered. Anticipatory nausea may occur prior to chemotherapy in patients whose symptoms were not well controlled in a previous cycle of chemotherapy and should be treated prophylactically. This activity is intended for oncology healthcare providers, including oncologists, physician assistants, nurse practitioners, and nurses who care for patients at-risk for CINV. No prerequisites required. APPLY evidence-based strategies to prevent and manage CINV in patients receiving highly or moderately emetogenic chemotherapy regimens. This activity has been planned and implemented in accordance with the Essential Areas and policies of the Accreditation Council for Continuing Medical Education (ACCME) through the joint providership of the Johns Hopkins University School of Medicine and the Institute for Johns Hopkins Nursing. 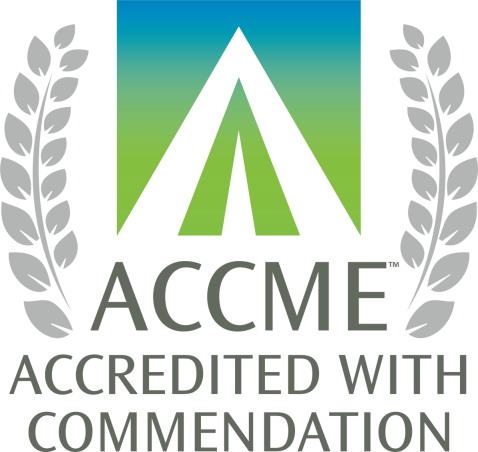 The Johns Hopkins University School of Medicine is accredited by the ACCME to provide continuing medical education for physicians. The Johns Hopkins University School of Medicine designates this enduring material for a maximum of 0.50 AMA PRA Category 1 CreditTM . Physicians should claim only the credit commensurate with the extent of their participation in the activity. This 0.50 contact hour educational activity is provided by the Institute for Johns Hopkins Nursing. Claim only those contact hours actually spent in the activity. Statements will be awarded for this educational activity until September 25, 2019. Dr. Ettinger reports serving as a principal investigator for Golden Biotechnology Corp and serving as a consultant for AbbVie Inc, BeyondSpring Pharmaceuticals, Inc, Boehringer Ingelheim Vetmedica, Inc, Bristol-Myers Squibb Company/Sanofi-Aventis US LLC, Eli Lilly and Company, Guardant Health Inc., and Genentech Inc.
Dr. Urba reports serving on the advisory board for Heron Therapeutics Inc.
No author has indicated that he/she will reference unlabeled/unapproved uses of drugs or products. The following is an interactive case module designed to help you gauge your basic knowledge of the topic and then direct you to areas you may need to focus on. It consists of 3 sections: an unaccredited pre-test, an interactive case study, and a CME post-test and evaluation. All 3 sections must be completed to receive CME credit. A certificate of participation will be available online immediately following successful completion of the activity. Participants must also score at least 70% on the post-test. Certificates will be distributed online at the conclusion of the activity. Your online certificate will be saved on myCME within your Profile/CME History, which you can access at any time. For information about the accreditation of this program, please contact the CME Office 410-955-2959 or email cmenet@jhmi.edu. I understand that while I am participating in this capacity, I may be exposed to "protected health information," as that term is defined and used in Hopkins policies and in the federal HIPAA privacy regulations (the “Privacy Regulations”). Protected health information is information about a person's health or treatment that identifies the person. For CME questions, please contact the CME Office 410-955-2959 or email cmenet@jhmi.edu.